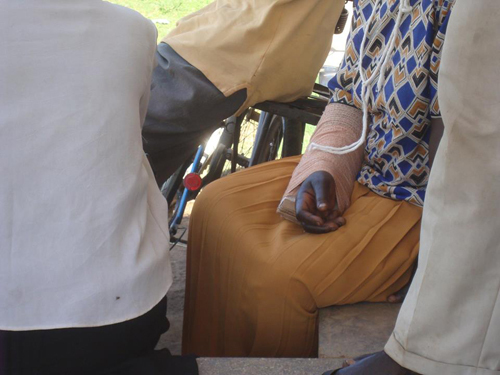 Ms Christine Lalam, a resident of Latoro village, Purongo Sub County in Nwoya district has been forced to seek refuge at Nwoya Central Police Station after an angry mob descended following the death of her husband. After the news of the death of Mr Ocaya Omaya 44, spread across the village on Sunday afternoon, residents wanted to revenge on Lalam castigating her for the calamity which befell her husband. To save her dear life, Lalam ran for about 30KM to seek police protection. Lalam and Omaya had travelled to Latoro from Alero, their original home, 50KMs away to cultivate when the incident happened. Okema said the locals wanted to kill Lalam on accusation that her mistreatment of her husband led to him end his own life. On the fateful day, the pair clashed before Omaya’s body was found hanging from a tree with a nose of a rope around his neck. His body was taken to Gulu Regional Referral Hospital for Post-mortem before it was handed over to his family members for burial. He becomes the second person to commit suicide after a domestic misunderstanding in Nwoya district in the last one week. Last Thursday, George William Obina, the Chairperson of Koch Goma Sub County Land Committee was found hanging dead on Tuesday after he went missing on Monday from his home. Police say Obina had earlier attempted to end his life but was saved. At least ten local farmers in Nwoya district are known to have committed suicide after disagreeing with their spouses over the sale of farm harvests in the last one month alone. In the last one week alone, two men were found hanging dead from after picking quarrels with their partners. According to the District authorities, the most affected Sub County is Koch Goma where nine suicide cases were recorded in October this year. Mr Patrick Okello Oryema, the District Chairman LC V said on Tuesday that majority of victims have picked up fights with their wives after selling the food stored for consumption before tragically ending their lives. Police crime records indicate that at least six people have committed suicide since the beginning of this year alone in Nwoya district. 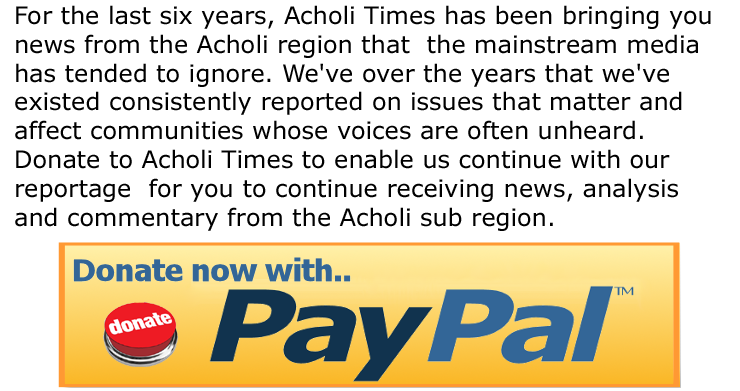 Elders in Acholi attribute the high cases of suicide in Acholi sub region to the ghostly vengeance following the mass killings during the LRA rebels led insurgency. However psychiatrists link the rising cases of suicide in the region to the post war traumatic stress. They say the violent war between the government and the LRA has taken a toll on the population in the region. The latest reports show that over 100 people in the Acholi sub-region have committed suicide since the year started with 30 in Gulu District in Koro Sub County alone.